*Note:Not all of channels can work well, please have a test before subscribe. 1/ What iviewHD IPTV app can do? Can run on Android mobile Phone, Android PAD, Android TV Box. 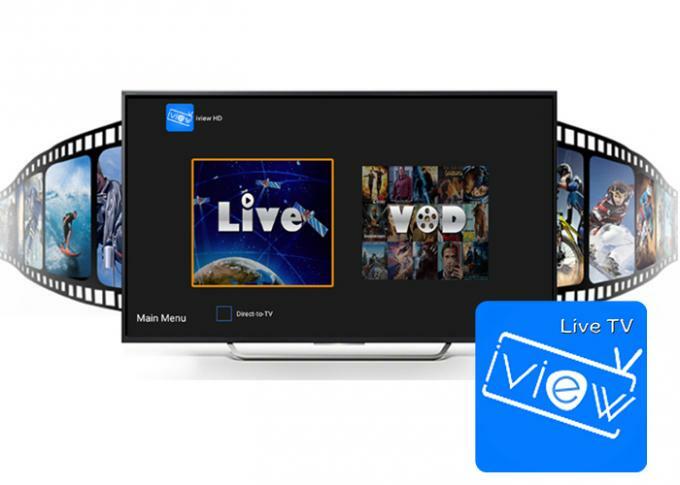 -Can watch 1000+ Popular & Wonderful Live TV Channels, 3000+ VOD Latest & Hot Movies! No need any satellite dish nor cable! Can work any place in the world! 2/ How many Live Channels inside? With what Language? Over 1000+ Live Channels, include the popular Live Sport. 3/ Live Channels from Which Region/Where? People, even oversea can watch the his/her local channels any time. Send me message for Channel List. 5/ What will be coming soon? More USA & Canada, Spanish & Portuguese Live Channels will be added in the schedule .